Fifty years on and it’s good to know that we have saxophone players in our midst like Gilad Atzmon who are not only brilliant in their own right, but are also capable of channelling the sound, the energy and the extraordinary creativity of jazz giant John Coltrane. Moreover, Atzmon has followed through on his enthusiasm for his muse by bringing out a celebratory album of – I want to say supreme – richness and quality. The Spirit of Trane is more than an exercise of paying homage to a great mentor, it is also a speculation about some of the places Trane might have gone had he lived longer. 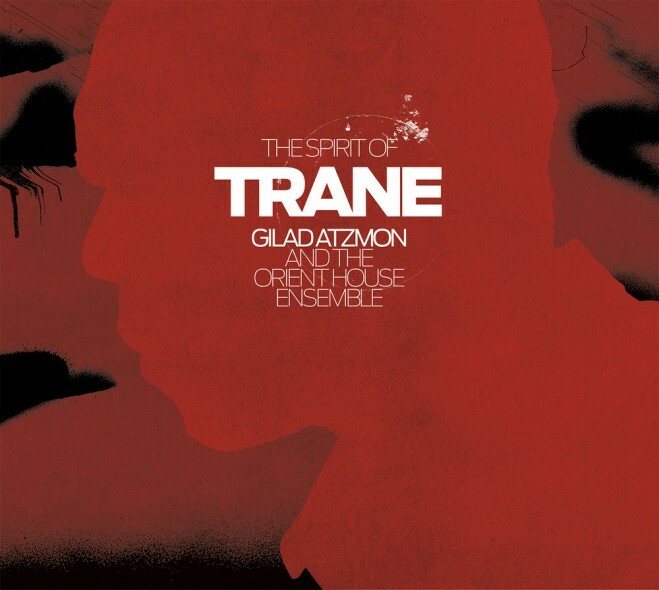 The album takes in several of Coltrane’s seminal compositions such as Naima and Giant Steps, as well as standards he favoured like Soul Eyes and Invitation, revivifying them with the help of the Orient House Ensemble (Yaron Stavi, Frank Harrison, Enzo Zirilli) and augmenting this mouth-watering offering with the addition of strings from the Sigamos Quartet, arranged by Ros Stephen. Equally at home here is a lengthy but vibrant version of one of Atzmon’s own pieces, Minor Thing, and the whole album has been beautifully mixed by Atzmon himself, demonstrating his skill as producer. Coltrane died when Atzmon was only four years old, but at 17, when he took up playing tenor, it was because of Trane. In addition to emulating aspects of the set-up Trane used, this long-held admiration has contributed an expansion of the signature Atzmon sound to encompass the full-throated, languid, melt-in-the-mouth type of edge that Coltrane possessed. A few years back I saw Atzmon perform a Coltrane-inspired set at the Watermill, deconstructing a simple rendition of Scarborough Fairinto a complex polyphonic love affair, before landing it safely back on the runway as if nothing out of the ordinary had just happened. It was mesmerising. This album is all of this and more: great tenderness for Coltrane’s music legacy but nothing slavish, shimmering strings with no trace of schmaltz, stark accents and bleak moments without feeling like you’ve crossed over to the dark side. Ravishing stuff.